Great Smoky Mountains National Park officials announced plans to open Clingmans Dome Road this weekend beginning Saturday, March 31. At 6,643 feet, Clingmans Dome is the highest point in the park and the third highest mountain east of the Mississippi. Park visitors can enjoy views from the parking area or climb the steep, half-mile walk to the observation tower to the summit of Clingmans Dome which offers spectacular 360° views of the Smokies. Visitors may also receive information and trip planning advice at the Clingmans Dome Information Center which includes a bookstore managed by Great Smoky Mountains Association. The road will continue to be monitored for hazardous conditions and could be closed due to inclement weather. For the most up to date information on road closures, visitors should follow SmokiesRoadsNPS on Twitter. Roads – Forge Creek Road opened on March 10; Clingmans Dome Road and Round Bottom/Straight Fork Road will open on March 31; Roaring Fork Motor Nature Trail, Rich Mountain Road, and Little Greenbrier Road will open on April 7; and Balsam Mountain Road and Heintooga Ridge Road will open on May 26. Cades Cove Loop Road will be closed for bicycle use only on Wednesday and Saturday mornings until 10:00 a.m. from May 9 through September 26. Due to road damage and hazard trees, Parson Branch Road will remain closed in 2018. Campgrounds open on a staggered schedule that started on March 9. See the chart below for exact dates. Camping fees range from $17.50 to $27 per site per night. The park’s developed campgrounds at Abrams Creek, Balsam Mountain, Big Creek, Cataloochee, Elkmont, Cades Cove, Smokemont, and some sites at Cosby are on the reservation system through Recreaction.gov for at least a portion of their seasons. Recreation.gov provides visitors an opportunity to make reservations to many federally-managed recreation areas, including National Park Service areas, across the country. The system allows campers to reserve specific campsites and to make reservations 6 months in advance. Group campsites and picnic pavilions can be reserved up to 12 months in advance. Visitors can make reservations at the five campgrounds, all group campsites, horse camps, and picnic shelters by booking sites online at Recreation.gov or by calling 877-444-6777. Advance reservations are required at Abrams Creek, Balsam Mountain, Big Creek, and Cataloochee Campgrounds throughout their entire seasons. Reservations are recommended at Cades Cove, Elkmont, and Smokemont for the period from May 15 through October 31. During the rest of the open season, these three campgrounds are first-come, first-serve. At these three campgrounds, campers also have an opportunity to reserve a generator-free campsite. Cosby Campground, which has mostly first-come, first-serve campsites, has a limited number of reservable sites. Group Camping is available at the following seven campgrounds by reservation only through Recreation.gov: Big Creek, Cataloochee, Cosby, Deep Creek, Elkmont, Cades Cove, and Smokemont. See the following schedule for exact dates. The cost for group camps ranges from $30 to $75 per site per night. Horse Camps are available by reservation only through Recreation.gov at Anthony Creek, Big Creek, Round Bottom, Tow String and Cataloochee See the following schedule for exact dates. The horse campsite fees are $23 at all horse camps except for Big Creek, where it is $29. LeConte Lodge, accessible only by trail, opened on March 19. Reservations are required and can be made by calling 865-429-5704, fax 865-774-0045, or email at reservations@lecontelodge.com. One night at the lodge costs $148 per adult and $85 for children 4-12 (tax not included). Children 3 and under are free. The price includes two meals–dinner and breakfast. Day hikers and backpackers can purchase a prepared bag lunch and snacks/beverages at the lodge. To see the full list of all spring opening dates, please click here. Great Smoky Mountains National Park officials announced several volunteer workdays beginning April 5 through April 28 along heavily-used trails and nature loops as the park prepares for the busy summer season. These opportunities are ideal for people interested in learning more about the park and the trails program through hands-on service alongside experienced park staff. Volunteers will help clear limbs and debris that have fallen over the winter months along with helping repair eroded trail sections. Workdays will be held from 9:00 a.m. to 3:00 p.m. in North Carolina on April 5, April 7, and April 19 and in Tennessee on April 12, April 21, and April 28. Prior registration is required. Please contact Trails and Facilities Volunteer Coordinator Adam Monroe at 828-497-1949 or adam_monroe@nps.gov for workday details and to register. Interested volunteers can also contact Monroe to learn about additional volunteer opportunities throughout the year including the ‘Adopt-a-Trail’ program and the Trails Forever ‘Working Wednesdays’ opportunities on Rainbow Falls Trail beginning April 25 through August 29. These opportunities are perfect for those with busy schedules who would like to volunteer once a month. Volunteers will need to wear boots or sturdy closed toed shoes, long pants and appropriate layers for cold and inclement weather. Volunteers should bring a day pack with food, water, rain gear and any other personal gear for the day. The park will provide instruction, necessary safety gear, and tools for the day. The National Park Service is excited to announce Project Parkway - Campground Cleanup on Saturday, April 21, 2018. The goal of this first-of-its-kind event is to rally Parkway lovers, volunteers, partners and staff to prepare all 8 of the Parkway's campgrounds for the May opening during a single morning of dedicated service in celebration of National Park Week. This single-day volunteer project will help complete much needed work across the park and is ideal for people interested in learning more about the park through hands-on service. Each location will provide tasks appropriate for a wide range of ages including students, scout troops, civic organizations, visitors, families, and retirees. Projects may be anything from leaf blowing and limb clearing to painting or basic trail work. Volunteer projects will begin at 9 a.m. and last until noon at most locations. Each project will be followed by lunch with staff provided by the Blue Ridge Parkway Foundation and Friends of the Blue Ridge Parkway. “It is support in the form of partnerships and donations of time by those who love the Parkway that make projects like this one possible,” said park Superintendent J.D. Lee. “ We are excited to meet new Parkway enthusiasts and proud to have the support of Friends of the Blue Ridge Parkway and the Blue Ridge Parkway Foundation on this special day.” Tools and safety gear, including gloves and high visibility safety vests, will be provided on site. If you are interested in participating please contact Project Manager, Natalie Lester, at 828-348-3419 or BLRI_Volunteers@nps.gov by April 6, 2018. Great Smoky Mountains National Park is recruiting volunteers to assist park visitors by roving the Oconaluftee River Trail, Mountain Farm Museum, and fields along Newfound Gap Road near the Oconaluftee Visitor Center. Volunteers are needed from mid-April through mid-November and typically work one, four-hour shift per week. Volunteers will provide information to visitors about park regulations that best protect wildlife including proper waste disposal and safe wildlife viewing distances. When elk are present in the fields, volunteers assist Park Rangers with traffic management to provide for visitor and wildlife safety. In addition, volunteers provide information about cultural resources found at the Mountain Farm Museum and natural resources along the Oconaluftee River Trail. All interested volunteers are required to attend a training session on Tuesday, April 3 from 10:00 a.m. until 3:00 p.m. at the Oconaluftee Multi-Purpose Room near the Oconaluftee Visitor Center. Volunteers should bring a bag lunch to the training. To register for training or for more information, contact Kathleen Stuart at 828-497-1914 or kathleen_stuart@nps.gov. For more information on elk, please visit the park’s website at http://www.nps.gov/grsm/learn/nature/elk.htm. Spring is right around the corner and that means wildflowers! Friends of the Smokies hopes that you will join them and Olympian Missy Kane as they hit the trails this April to catch some of the Smokies best blooms. 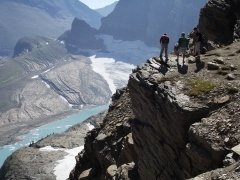 Cost for each hike is $20 per person. A complimentary Friends membership is provided with registration of the entire series. To prepare for the hikes, Friends of the Smokies suggest doing an aerobic workout 3-4 days/week on a regular basis. Bring day pack, water, snacks, hiking poles, rain gear, appropriate shoes & medications. Space on the hikes is limited. You must pre-register by calling 865-541-4500. Please call to cancel if you can't make a hike as they do have a waiting list. 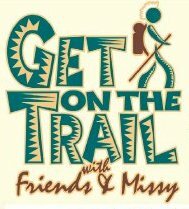 Also, don't forget about the Friends of the Smokies Classic Hike Series! Great Smoky Mountains National Park is recruiting volunteers to provide informational tours of the historic Mingus Mill. The mill is located one half mile north of the Oconaluftee Visitor Center near Cherokee, North Carolina. Volunteers will help educate visitors about the general role of milling in the Smokies including the unique turbine wheel at Mingus Mill. Mingus Mill, built in 1886, offers visitors a unique look into the inner workings of a mill that custom ground everything from corn to wheat or rye. The intricacy of the turbine-driven mill provided local patrons with custom ground cornmeal or flour in a fraction of the time needed by other types of mills. Volunteers will work alongside Great Smoky Mountains Association employees. Each volunteer is asked to work at least one, four-hour shift per week from 11:00 a.m. to 3:00 p.m. during the peak visitation season from April through the November. Interested persons will be provided orientation and training before beginning at the mill. New volunteers are required to attend training on Friday, March 23, 2018 from 9:00 am until 3:00 pm. The training will be held at the Oconaluftee Administration Building near Cherokee, NC. A lunch break will be in the schedule. Please plan to bring a bag lunch. If interested in this exciting volunteer opportunity please call to reserve a space for training. For questions or to receive more information, please contact Park Resource Education Ranger Florie Takaki by phone at 828-497-1906 or by email at florie_takaki@nps.gov. Great Smoky Mountains National Park officials announced that a paving project will begin the week of March 12 on Laurel Creek Road, Townsend Entrance Road, and Tremont Road. The project should be completed by June 15, though work schedules are subject to revision as needed for inclement weather. Visitors traveling to Cades Cove should expect weekday, single-lane closures and traffic delays throughout the project. Single-lane closures will be allowed for up to two miles at a time on Laurel Creek Road and half a mile on Townsend Entrance Road and Tremont Road. The lane closures will be managed with flagging operations and a pilot car to lead traffic through work zones. In addition, some parking areas and pull-offs will be closed intermittently. Contractors may elect to work during the evening and nighttime hours as needed. To better accommodate traffic during periods of heavy visitation, there will no lane closures on weekends, holidays, or the time period from March 26 through April 6. The Federal Highway Administration awarded the $2.5 million paving contract to Bryant’s Land and Development. Roadwork will include the application of a thin pavement overlay along with patching, crack sealing, new signage, and pavement markings. The National Park Service (NPS) today announced 330,882,751 recreation visits in 2017 – almost identical to the record-setting 330,971,689 recreation visits in 2016. While numbers were steady, visitors actually spent more time in parks during their 2017 visits compared to 2016. Great Smoky Mountains National Park is recruiting volunteers to help provide visitor information at Clingmans Dome. The information center sits at 6,300 feet in elevation providing a unique opportunity for park volunteers to assist in educating visitors about high-elevation spruce-fir forests, while also providing recreational, trip planning, and directional information. The information center, constructed by the Civilian Conservation Corps, originally served as a comfort station, but was converted into a seasonal information center in 2010. The center also includes a bookstore area managed by the Great Smoky Mountains Association (GSMA) offering visitors the opportunity to purchase guides and maps, outdoor apparel, and other GSMA products. Volunteers will work alongside GSMA employees. Each volunteer is asked to work one four-hour shift per week from 11:00 a.m. to 3:00 p.m. April 1 through November 30, 2018. At this time, there are openings for new volunteers on each day of the week except Thursday. New volunteers must attend two orientation sessions focusing on resource interpretation and working with the public. At each training, guest speakers will share unique biological and historical information to help volunteers learn more about the Clingmans Dome area. The first training session will be held at the Oconaluftee Visitor Center training room near Cherokee, NC on March 16 from 9:00 a.m. until 3:00 p.m. The second training session will be held at the Sugarlands Visitor Center training room near Gatlinburg, TN on Friday, March 30 from 8:00 a.m. until 4:00 p.m. Volunteers must RVSP for training sessions and bring a lunch. To sign up for this volunteer program or receive more information, please contact Park Resource Education Ranger Florie Takaki by phone at 828-497-1906 or by email at florie_takaki@nps.gov.